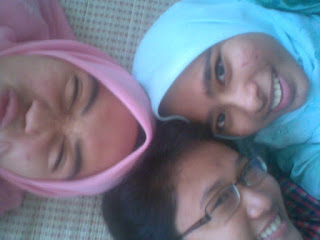 Syaza Shukri: My CNY Holiday! Oh.My.Lord. Can my life be any more hectic? It was kind of like before, when I thought I’m going to spend my days at home studying, I ended going out every.single.day. I’ve been going out non-stop since Monday until today, Thursday. But hey, I’m not really complaining. I miss my babes!!! I’m so glad we decided to do all that we did :) I miss you girls so much! To those who don’t believe me when I say you need to make an appointment to go out with me, this is proof. No, I’m kidding. But seriously, my friends already ‘reserved’ me since a few weeks earlier, so yeah, all my outings this week were not really spontaneous or whatever. But I just love it going to KMNS with Shila to visit Adilah, going to NZ just to hang out with Iqa and them till late at night and I ESPECIALLY love going out with Fayyadhah and Zaida. 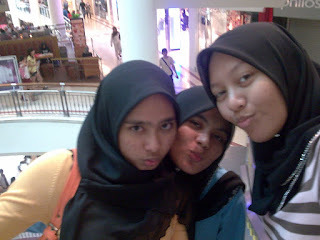 They are my two best friends since…was it forever girls? I had a blast, seriously. No shopping (with the exception of my new purse) but just…l a u g h i n g :) I miss our we-have-no-care-in-the-world laugh. Reminiscing is not the right word. 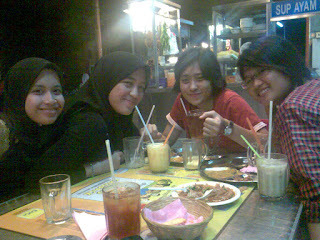 We actually did go back to where we left :) And now, Chesza's leaving cyber world for a while to focus on my Fundamentals of Physics textbook. Later!